Nice burn, great taste....well made and enjoyable! I have bought a box recently and have now smoked five of these beauties and if you were to grab a box, you will not be disappointed. First the cigar looks the part well constructed and does not fall apart when smoked. It also stay very firm to the end. Next the draw flows very well and cool, lots of smoke on the draw. Lastly the taste is full of flavours. Takes about 1 hour or so to smoke.....so sit back get your favour drink and relax. Maxx is THE cigar that hooked me on this hobby. From the first time I lit this up, I was hooked. I was a very recreational smoker before Maxx, after Maxx I was a dedicated enthusiast. The Culture and Fix are my two favorite sizes of this cigar. 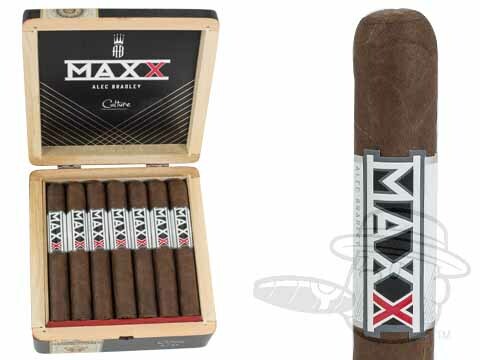 All these years later, no matter how many cigars I have smoked, Maxx is still one of my favorites and I always keep a box on hand. MAXX The Culture is rated 4.4 out of 5 based on 5 customer ratings.